Ældre Edda (alternativt: Den poetiske Edda, Sæmunds Edda,eddadigtene, bare Edda m.fl.) er en digtsamling med fortællingerfra nordisk mytologi og nordiske heltesagn. De blev i 13. og 14.århundrede nedskrevet i Island, men de oprindelige forfattere er idag ukendte. Digtene er sandsynligvis flere hundrede år ældre og erblevet overleveret gennem mundtlig tradition. De udgør en centraltekstgruppe i den islandske litteratur fra middelalderen. 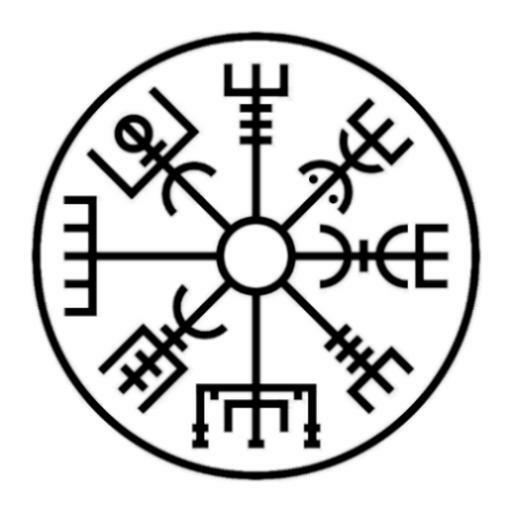 (FraWikipedia).Elder Edda (alternatively: The poetic Edda, SaemundEdda, Edda poems, just Edda, etc.) is a collection of poems withstories from Norse mythology and Nordic myths. They were the 13thand 14th centuries written in Iceland, but the original authors areas yet unknown. The poems are probably several hundred years oldand has been passed down through oral tradition. They are a keytext group in the Icelandic literature from the Middle Ages. (FromWikipedia). The supreme god Odin from Norse myths is so cute♡ You can learn arough story of Norse myths♡ ------Norse myths "Myths" became motifsof various games in general. However, the actual "story" itself isnot well known. This may be because it’s often focused on the "maincharacter", "fellows" or "enemies to be beaten" like in the novelsor fairy tales. So, it’s not focused on the "introduction","foreshadowing" or dramatic "ending" to read or hear clearly. Norsemyths consist of "poets" based on the myths from over 2000 yearsthrough verbal tradition. So it is not an easy "story" tounderstand. However, there are many various attractive godsdescribed in Norse myths. That's the reason why they often becomethe motifs or characters of various games. 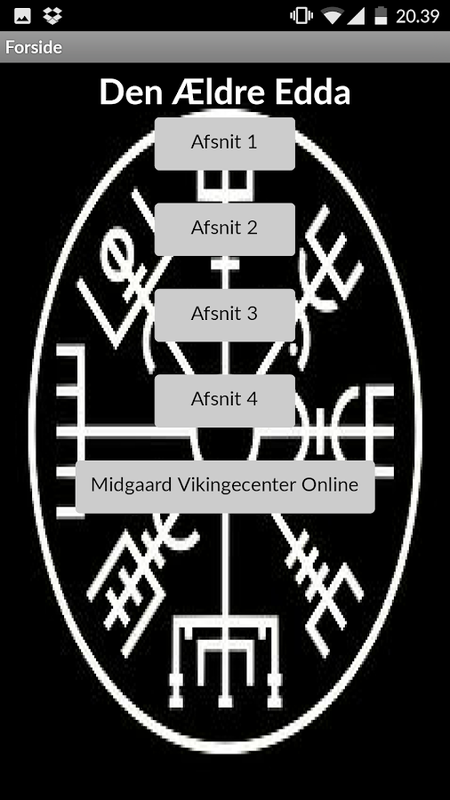 "What is the story ofNorse myths?" "What is the Ragnarok in the end?" We are going todecipher these questions by reading the Life of Odin who is a maingod in Norse myths. 【Caution】 This App consists of the main storyof Odin. Therefore, other gods are not so active in this story.Please note it in advance. This app is the Japanese translatedversion. Finding Idun explores the world of old norse mythology, followingLoki through his adventure to the giants kingdom of Jotunheim, inorder to rescue the Goddess of youth; Idun.Finding Idun is anadventure & story based game in which you play as Loki, thenorse God of cunning and trickery. Can you make your way towardsJotunheim? Will you find Idun?Don't forget to download the "FindingIdun Companion" app, to help you through the game. Norse mythology comes alive in this action packed beat’em up! It isthe beginning of Ragnarok, or the apocalypse, and Loki and his packof giants, trolls and unholy creatures are rampaging through thecountryside. As Odin, you must fight this massive horde of enemies.Use combination fight moves, magic and outright force to destroyLoki and his minions. Can you survive the end of the world? THE BEST ONLINE VIKING GAME!------------------------------------------------------- Grab Thor'sHammer and confront the giants, gods and monsters of the 9 worlds!With 100s of adventures and 1000s of achievements to collect,raiding and pillaging has never been more exciting! Wage war inreal-time against +3 million other players in this online Vikingmultiplayer game. GAME FEATURES: ● Hundreds of adventures acrossmore than 30 locations in the 9 worlds of Norse Mythology! ● Battledozens of bosses, from mythical beasts to Norse Gods! ● Level up,choose your skills and customize your Warrior! ● Play with friendsand form Clans! ● Fight and raid against MILLIONS of real players!● Collect 1000s of weapons and warriors ● Grow and manage yourViking Empire! ● Purchase property and grow your income with idlegame play! ● Rank on leaderboards across multiple categories! ●Beautiful artwork! ● New content weekly! Build an empire that willring through time. Prove yourself worthy of Asgard in Viking Clan,dethrone and clash against the Gods themselves! More ways to play:▶ Play on Facebook: https://apps.facebook.com/vikingclan/ ▶ Play onWeb: http://www.kanoplay.com/vikingclan SUPPORT: Support:http://support.kanoapps.com/ Community Forum:http://forums.kanoapps.com/ Note: this game can only be playedwhile online. Enjoy hours of Viking , Nordic , Celtic and Irish music.All thebest compilations and epic sets of pure Viking , Nordic and Celtictracks updated regularlyOne of the most well designed musicstreamerfor Celtic music , Viking music , Nordic music and Irish Music.Containing hours of pure and free with categories such as Ambient ,Relaxing , Epic , Battle and many many moreNordic tracker forScandinavia musicListen free music inspired by a true VikingsRagnar Lothbrok and his sons Ivar The Boneless , Ubba , SigurdSnake-in-the-Eye , Hvitserk and Björn Ironside.Music of the gods(Odin , Thor , Loki , Aesir , Freya) feasting in Valhalla withViking warriors and Celtic Warrior as well as Celtic Heros.One ofthe best nordic mythology apps the one and only vikings mobile appfor music.Look into the odin's eye with the ragnar app of ragnarlothbrok for vero musicViking go ! English is spoken by over a billion people, which makes it thelingua franca of the world! The language of Shakespeare and QueenElizabeth brings in the naming tradition of royal ancestry anduniversal magnificence! Having problem naming your children?Seeking for your Name origins? Or just simply wanting to give yournew born baby with uncommon names? Yo're Right to Choose this apps,English Name Meanings Complete works as a name generator and cangive you some informations around names. You can found some triviaabout name meanings, origins, etc. Mix some named or simply chooseone from our app to create a cool baby names. ★★★★★ How to Use ★★★★1. You must input your name 2. then you will give result namedefinition/ meaning from boys or girls name list 3. You canBookmark it to Bookmark page as favorite ★ ★ ★ ★ Features ★ ★ ★ ★ ✔Bookmark ✔ Share ✔ Copy Please Share if you feel this apps helpfulto you! Free Urdu English Translator Translate text, word or sentence fromUrdu to English or from English to Urdu language. You can use thisapps as a Urdu to English dictionary or English to Urdu Dictionarytoo. Uses of Urdu English Translator are following: - Urdu EnglishTranslator - English Urdu Translator - Simple User Interface(Easyto use for Translator) - Listen translated text, sentence inEnglish or Urdu - Used as a Urdu to English dictionary or Englishto Urdu Dictionary. - Social Media - Easily share with Friends andFamily. Now get access to thousands of words, download now our top Englishto Urdu Dictionary and Translator for free. This offline EnglishDictionary is helpful for all those who can not carry conventionaldictionary with them. You can use this pocket dictionary when everand where ever you want with ease. Key Features: English to UrduDictionary offline Urdu to English Dictionary Millions of words andtheir meaning, Synonyms, Antonyms, Thesaurus. Daily Quiz so thatyou check vocabulary and how much you have learned. World of theDay Easy to use interface. Off line access. Off line DictionaryDownload now and get the latest English to Urdu Dictionary andEnglish Translator.